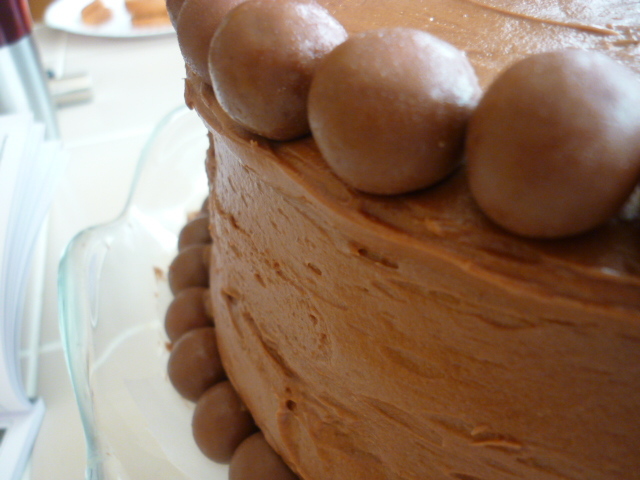 The first time I saw a malt ball cake was on Pinterest, I was smitten. Those malt balls looked so darn perfect and so…orderly. 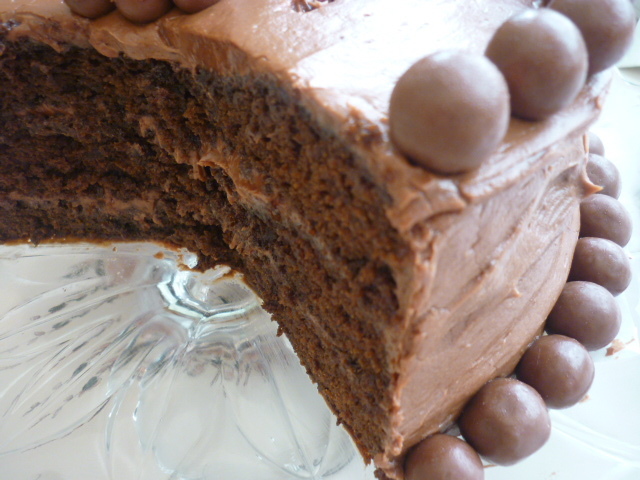 Even better, no piping required! 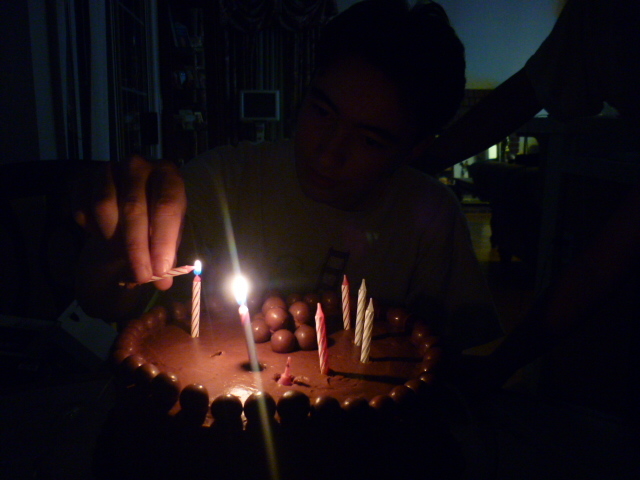 My son turned 19 yesterday (Happy Birthday son! ), and I asked him what kind of cake he wanted me to make and his usual reply was, “Whatever you want, mom!” (that’s him). 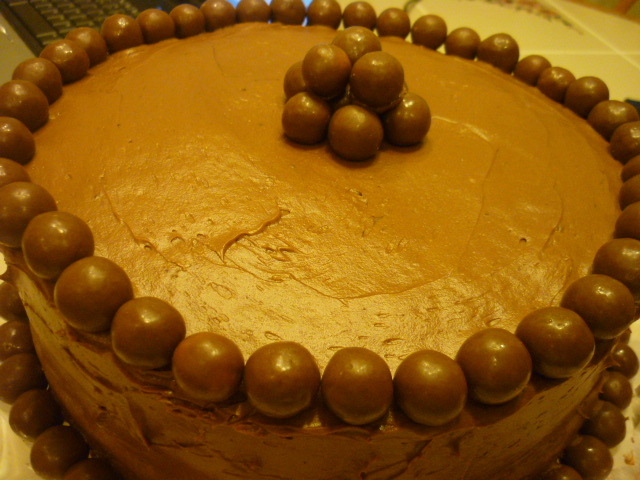 It was time to make that malt ball cake. So, Google search I did, and I found a recipe from Bakergirl. She got hers from Paula Deen. I read through the recipe: Sour cream, heavy cream, Paula Deen…I felt like I was on the right track and decided to try this one. It was beyond my expectations! It’s moist and sweet, and the frosting is a dream to put on. And hassle-free decorating, if you read on!